The rapid development of Internet, technology and logistics has allowed consumers to ship online globally. Purchasing products and services from foreign websites and marketplaces that host multinational merchants are increasingly prevalent. This phenomenon is known as cross-border e-commerce. Without doubt, as one of the fastest growing economies in the world, China is expected to continue its growth in cross-border e-commerce business. How to ship goods from China to Amazon FBA? Whether small parcels or huge shipments, whether looking for fast speed or cost-efficiency, we are here to fulfill each and every individual need. We help to find balance between your need and budget. One simple choice, you will easily be able to ship from China to Amazon fulfillment centers across the world. We have our special FBA shipping team, and handle all the aspects of the shipping process: from the very beginning, collecting cargo till the end, scheduling with the Amazon for safe and timely delivery. You are guaranteed a timely, secure, professional consignment of your goods. The hassle-free shipping solution escorts your cross-border e-commerce. For FBA sellers, inventory stored remotely in an Amazon warehouse is one of the key triggers of sales tax nexus. Keeping track of where your goods are being stored is an important part of understanding your state-by-state sales tax responsibility. 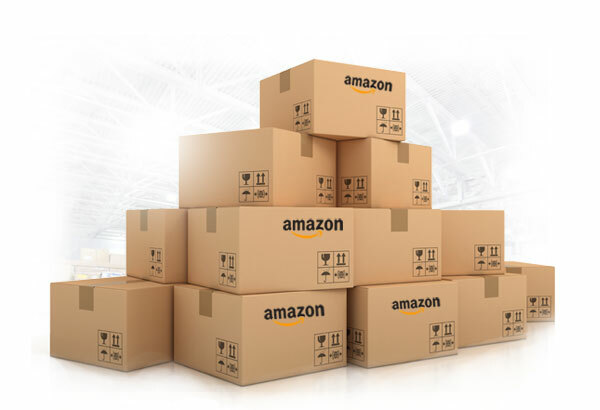 The following list of known Amazon warehouse locations can be helpful when used in conjunction with Amazon Seller Central reports to understand inventory movement. Disclaimer: Warehouse locations are based on the best available online data and not guaranteed or endorsed by Amazon. 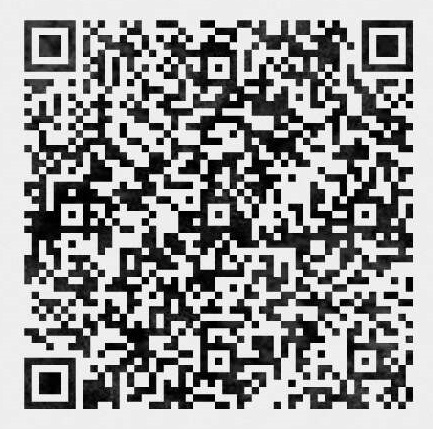 For issues with Amazon orders, visitors are encouraged to visit Amazon directly. Amazon has been active in the state of Arizona since 2007. This makes Arizona one of the original fulfillment center states. This is a fact closely associated with several key aspects of the state. Although Amazon has a large warehouse presence in California, it still trails Kentucky and Pennsylvania in sheer number of locations dating back to 2012. Connecticut offers Amazon a great location for supporting shipments to the East coast. Although not a large presence, Amazon has been active in the state for over a year. Delaware is renowned as one of the five states where sales tax is not collected. We include the FBA warehouse locations here for reference. No worries about triggering nexus in Delaware. Breathe a sigh of relief. In the land of fun and sun, we never fail to manage our sales tax responsibility proactively. Amazon expanded their FBA warehouse coverage to Florida in 2014 with five warehouses in four locations. If your FBA merchandise is passing through Georgia, that's just peachy! It turns out the only active Amazon facility in the peach state is a sortation center so no need to worry abut triggering nexus. Amazon brought warehouses to Illinois in October, 2015 and have continued to expand every year since. New warehouses are being planned for the years ahead as well. Locations of these warehouses center on proximity to Midway / O'Hare airports and St. Louis Lambert International airport. The Hoosier state boasts a collection of Amazon warehouse locations and have for some time. Amazon's fulfillment center presence in Indiana dates back to 2008 making it one of the earliest locations Amazon broke ground on it's fulfillment service. With its centralized location in the US, Kansas seems like an ideal distribution center location. However, its proximity to major metropolitan areas is somewhat undesirable. As such there are only two FBA warehouse locations located here. Next to Pennsylvania, Kentucky is home to more Amazon warehouse locations than any other state - despite being dwarfed in size by Texas and California. When it comes to product fulfillment, it's all about location, location, location. Maryland represents another state with a small Amazon footprint strategically positioned to support the East coast. Both fulfillment centers are located in Baltimore. Just 30 miles south of Boston, Amazon's Massachusetts warehouse is new and opens up nexus potential. Amazon's presence in Michigan is just getting started with a single warehouse location southwest of Detroit. This location offers easy access to the major Detroit airports as well as access to I-94, the interstate that crosses the state. With the central location of Minnesota, Amazon can serve many surrounding states from this location. The current warehouses are positioned to leverage the Minneapolis - St. Paul International Airport. Amazon first broke ground in Nevada back in 1999 and, more recently, added a warehouse in 2015. Another of the so-called NOMAD states, New Hampshire does not charge sales tax so there is no need to worry about triggering nexus here. Both New Jersey fulfillment centers are strategically located between New York City and Philadelphia (with Washington DC and Baltimore just a bit further). The buckeye state welcomed their first Amazon warehouse in September of 2016. Along with Kentucky, Pennsylvania represents the state with the most Amazon warehouses. An even dozen makes this a popular place for FBA sellers to find their product. South Carolina is another of the East coast fleet of Amazon fulfillment center locations. Only two fulfillment centers makes this state a bit of a lightweight, but that's inconsequential when it comes to nexus. Similar to Kentucky, Tennessee has a major Amazon warehouse footprint. With six FBA fulfillment center locations, Tennessee combines with Kentucky represents the largest density of Amazon warehouses in the US. Texas represents an extremely large state centrally located within the US. 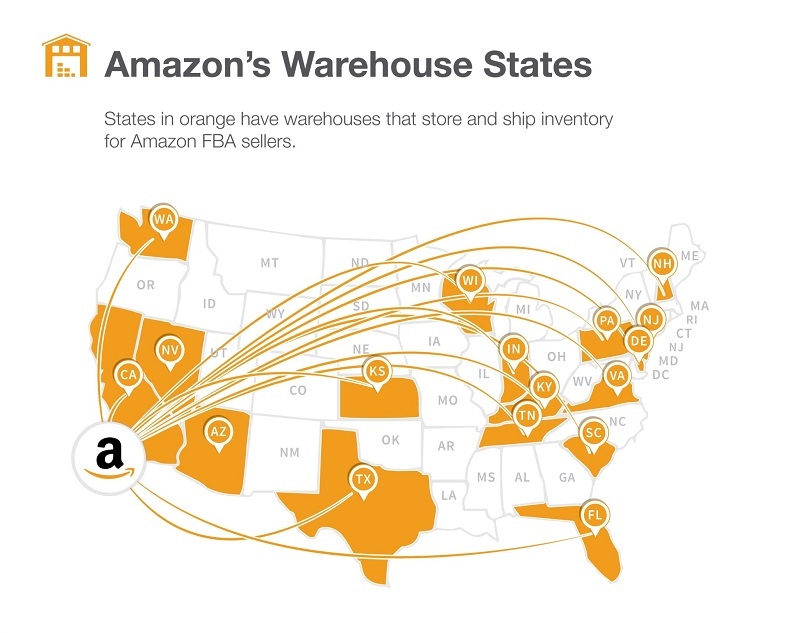 Amazon began locating FBA distribution centers here in 2013. Amazon has a small presence in Virginia to help with distribution to the East coast. With Amazon headquartered in the state of Washington, it only makes sense they would have at least one warehouse in the state. As it turns out they have six - most of which were built relatively recently. Amazon has expanded to Wisconsin, not with fulfillment centers, but with sortation centers. The good news for FBA subscribers is that goods passing through sortation centers is not viewed as a nexus triggering activity.